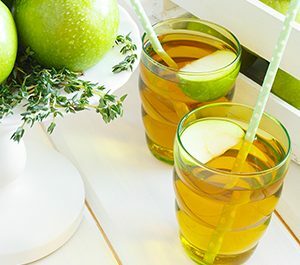 of apple juice concentrate, can be found here. CUT Membrane Technology has gained a huge amount of expertise in the use and manufacture of membranes and filtration modules for beverages industries during more than a decade. We provide customized membrane and module solutions as part of the global Bürkert Group, which is active in 36 countries around the world! Our products and profound application know-how enable us to support our customers with all process related information in sectors such as food and beverage, wine, chemical, but also environmental technology especially in the treatment of wastewater and process water. Fruit juices are produced as naturally cloudy or clear juice and chosen according to personal tastes. Those that prefer clear juice want their juice to be crystal-clear and vividly colored without any trub residue, which can settle on the sides of the bottle or bottom of the glass after a short period of time. Trub is the smallest particles that are produced from the pulp of the fruit, the skin, the stalks, the flower buds, cores and any foreign substances that get in the juice during the extraction process. This also includes proteins, colloidal substances and not least, micro-organisms. Depending on the type of fruit and technology used for extraction, some of this trub can reduce the shelf life of extracted juice or cause undesirable aromas. Large amounts of fruit juices are processed to concentrates, which are used as raw materials in the production of food and beverages. Trub removal is absolutely imperative with regard to these juice concentrates..Trub residues can affect the visual and sensory qualities of products such as spritzers, fruit flavoured mineral waters, fruit teas, jellies or fruit gums. There exist different opportunities to clarify fruit juices. Solids removal can be achieved by using disc stack centrifuges, filter presses or other types of filters, by depth filtration, or by crossflow membrane filtration. Crossflow ultrafiltration using T-CUT Core modules is the most elegant of these options. T-CUT Core is an insert based membrane filtration solution. It removes all of the trub in a single processing stage using a compact, modularly-designed plant. Membranes with pore sizes that are particularly adapted to the respective separation task are able to retain finer particles than most of the disc centrifuges. Contrary to precoat filtration, membrane processes do not require filter aids like kieselgur (diatomaceous earth) or cellulose. The tubular membranes tolerate even juices with high concentrations of suspended solids. Due to the gentle processing, the genuine taste and colour of the fruit juices remain unchanged. With careful choice of the membrane material, the building of irreversible cover layers on the membrane surface or pore blocking are inhibited. Membrane plants can be run continuously or in a batch process. 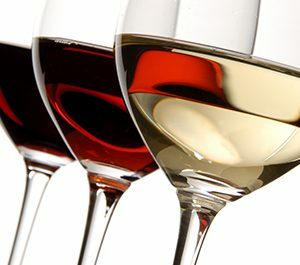 Wine quality is influenced by a large variety of factors. These are the type of grape, the terroir (soil and climate), the cultivation and harvesting as well as the must extraction and fermentation in the cellar. In the cellar filtration is essential to obtain the pure, clear and storage-stable wine. Filtration prevents from deposition of solids at the bottom of the bottle and from secondary fermentation that might be triggered by residual yeast. Previously wines were filtered with sieves and cloths. Today complex membrane filters are used for the safe removal of trub particles and microorganisms (Clarification filtration). During membrane filtration, the raw wine flows along the membrane surface with high velocity. This kind of filtration is called cross flow or tangential flow filtration. Thereby the medium to be filtered is driven through well-defined pores of a membrane by means of pressure, while solids are retained. In this, high overflow velocity in the membrane module prevents clogging of the pores through the fact that the solids present in the medium are kept in circulation. During the filtration process, the concentration of the retained solids within the system rises to what can lead to blocking of the pores with different membrane models. Blocking also appears through formation of a gel layer. For the filtration of wine, an especially developed hollow fibre module with membranes from polyethersulfone has been proven to counteract blocking. Because the finest suspended particles (e.g. phenols, proteins, etc.) are still present even after filtration, in addition the wine is fined. The oldest means for this are freshly opened egg whites, since these immediately bind these tiny clouded particles and thus prevent post-clouding of the wine occurring. Then remaining turbid materials can be adsorbed by means of alternative expedients such as bentonite, gelatin or activated carbon. The subsequent clarification filtration removes so called fining trub, as well as the yeast, thereby preventing secondary fermentation. Prefiltration of the cutting waste (Preliminary filtration) is applied to safely remove particles and micro-organisms before bottling. In doing so, secondary fermentation and activities of micro-organisms are excluded. These different filtration processes are used not only for the microbiological stability of the wine, but also have a positive influence on its quality and optics.